Cocoa farmers in Africa are not rich. These farmers only get a few PENNIES per ONE CHOCOLATE BAR! 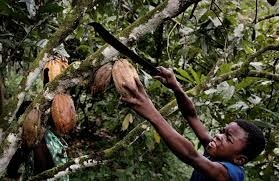 These farmers do not have enough money to pay workers to harvest the cocoa pods from the trees so the farmers use their only free resource, children. These may be the farmers own children or the farmer´s friend´s children. Children are not payed and are forced to work with dangerous tools and in terrible working conditions. Some farmers will do as far as locking up the child so they won´t run away! 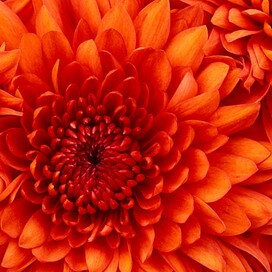 But we can do something to help children and farmers alike to make money for their families without using child workers. Children are forced to carry 100´s of pounds daily through the forest. One wrong step and you might have an injured child. 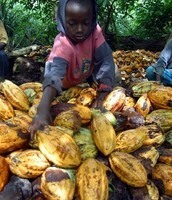 Even children of a young age must work on cocoa farms to get money for their family. Using a machete is part of the everyday work of a child in some African communities. Machetes are very dangerous and injuries are common among children workers. The solution I am presenting is to help cocoa farmers earn more money so they can pay real workers to do the job of some children on cocoa farms. 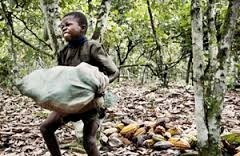 To try and make this solution possible I have started a petition about child labor on cocoa farms. 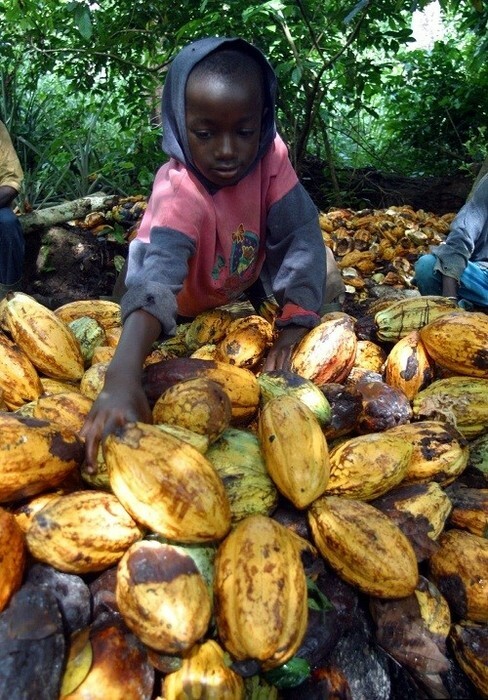 If the needed 100 people sign the petition I will present the petition to major chocolate organizations like Hershey and Mars and get them to make a law about not using chocolate grown and harvested by children and to pay cocoa farmers more for their cocoa. Once farmers get more money for their chocolate they can pay real workers and get real machines to do the children's job. 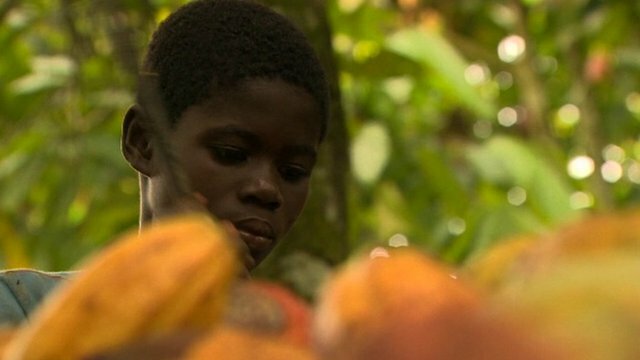 African cocoa farms are still employing hundreds of thousands of children, the BBC has discovered, 10 years after the world's leading chocolate companies promised to tackle child labour.